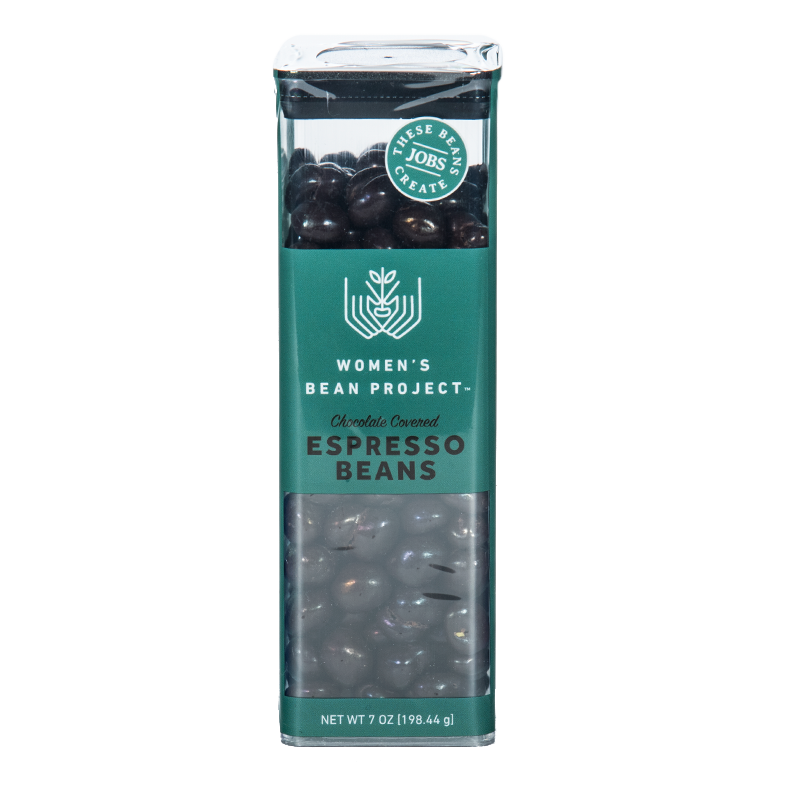 Women’s Bean Project loves all beans, but especially chocolate covered espresso beans! 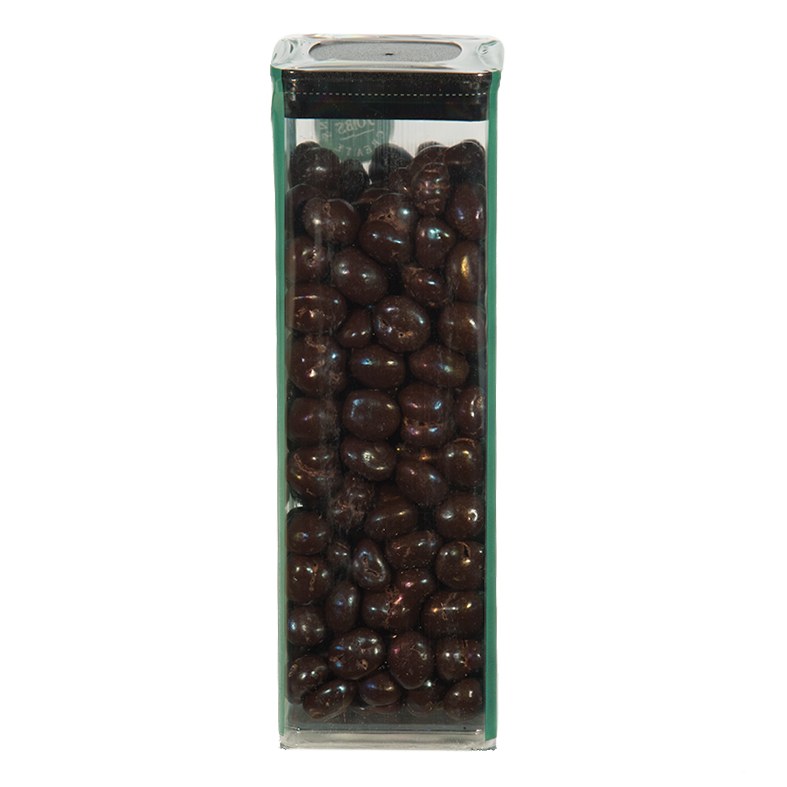 Our premium roasted espresso beans come smothered in rich dark chocolate. 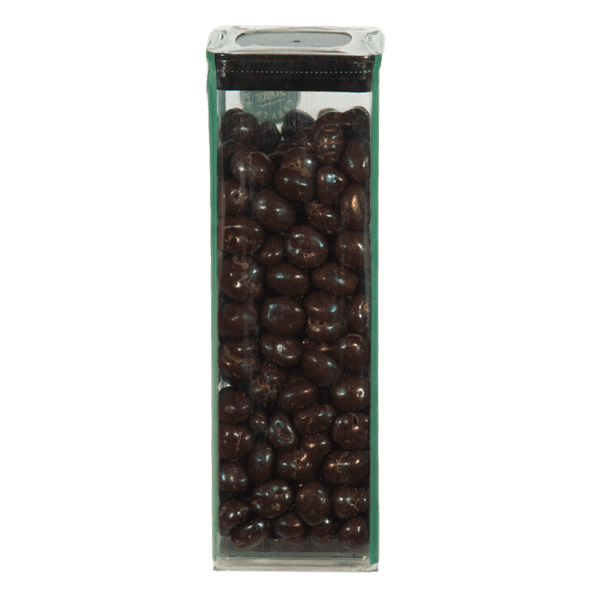 Added bonus: these chocolate espresso beans give you a nice little dose of caffeine. Not available May-September due to melting during transit. Thanks so much Steve for sharing! We are glad you enjoyed our chocolate covered espresso beans and shared with others! Received these as a gift as well. 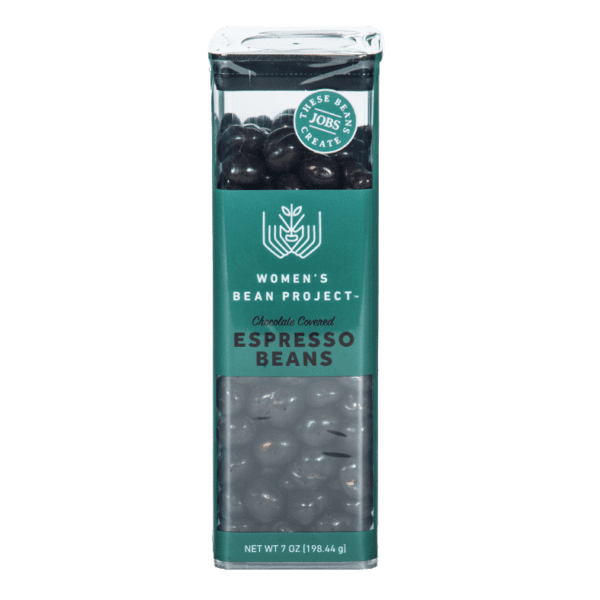 While I do make my own chocolate espresso beans that are superior to others I’ve purchased, these are much better than what I produce. The large container lasted quite some time, despite the rampant thievery of the rest of my family. These were given to me as a gift from my husband. They have a wonderful ratio of chocolate to bean. 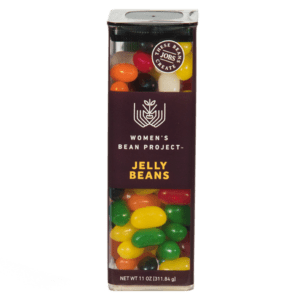 There is a great crunch of the bean when you bite in to it and the flavor is perfect. Highly recommend purchasing this product if you are looking for a quality bean.